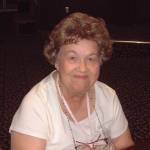 Gloria Flynn was an incredible woman of God who walked closely with Jesus. Gloria was such a walking advertisement for Georgia Mountains CFO and how it had positively impacted her spiritual walk, that she was literally responsible for hundreds of people coming to camp. She was the only camper to have ever attended every Georgia Mountains CFO during her lifetime. This scholarship was established in her loving memory and is generously provided to us by the Georgia Baptist Conference Center. This scholarship is for a family but is not limited to first time campers. It pays for all Room and Board costs. We simply ask the recipient to pay for registration. This scholarship is awarded to one family per camp. If you are interested in this or any of the other scholarships offered to Georgia Mountains CFO, please contact our scholarship coordinator, Ashlee Hedges, at scholarships@georgiamountainscfo.org.